He’s a star.She’s a scam artist. Simon King is an up and coming rockstar. Enjoying the ride and the lush lifestyle, nothing can prepare him for a girl like Bethany. She’s everything he doesn’t want, and nothing that he needs. Bethany’s not interested in a good time or being another one of Simon’s mindless fans. She’s more interested in his bank account and will do whatever it takes to line her pockets in gold. But when secrets are exposed, the show must go on. Will Simon see through Bethany’s lies, or will his career go down in flames? Can Simon win Bethany’s heart and force her to give up everything she thought she wanted? Insecurities and lies tangle together in a short, fast-paced story of love and deception. Don’t miss this clean rockstar romance that will keep on the edge of your seat. 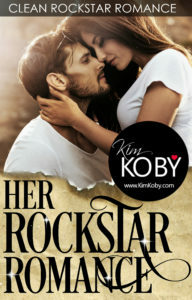 “Her Rockstar Romance” is perfect for a quick weekend read. THIS SERIES IS AVAILABLE IN KINDLE UNLIMITED on Amazon.com. Start with “The Billionaire and the Therapist” – and while each book can be read as a standalone, they read even better if you follow their release order! Starting over in Texas is a chance for Natalie to put the past behind her. All she wants is to feel safe. With notice of her stalker’s upcoming release, it’s a fleeting dream. A ROMANCE SERIES set in a rural Tennessee. Small Town Hero is a sweet, clean romance that celebrates renewal. Rebecca is saving herself for marriage. After a crushing betrayal, she spins out of control when she catches her fiancé and best friend in bed together. Grief-stricken and desperate, she finds herself stranded in Tennessee and forced to rely on the kindness of a stranger. Ryan knows heartache. The only woman he loved walked away the day he proposed to her. He knew in that instant he’d never trust his heart to another. At least he has his dog to keep him company and a good job as a local firefighter. 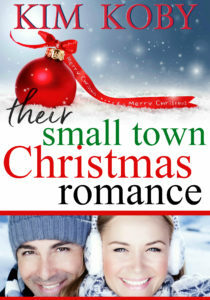 A Christmas Romance that celebrates the sights and sounds of the holiday, combined with a love story. Holly White’s Christmas plans are ruined. Her sun-soaked Caribbean vacation has to wait when she’s forced to spend the holidays in her small, Pennsylvania hometown, something she’s carefully avoided for years. Things go from bad to worse when she’s tasked with the last-minute chore of finding a fill-in Santa for the community’s Christmas Eve celebration. Short on time and patience, Holly’s overwhelmed. She has one too many things to do between baking cookies, helping at her father’s jewelry store, and wrapping presents. Matt Nolan is surprised to run into Holly the week before Christmas. She doesn’t usually spend the holidays in Hope Valley—not that he’s complaining. He’s had a crush on her since they were teenagers. One look, and the feelings rush back at him, full-force. Can he spread a little holiday cheer and magic, and get Holly to finally return his feelings? Or will Holly realize she was right to stay away all those years and plan her next Caribbean Christmas vacation?